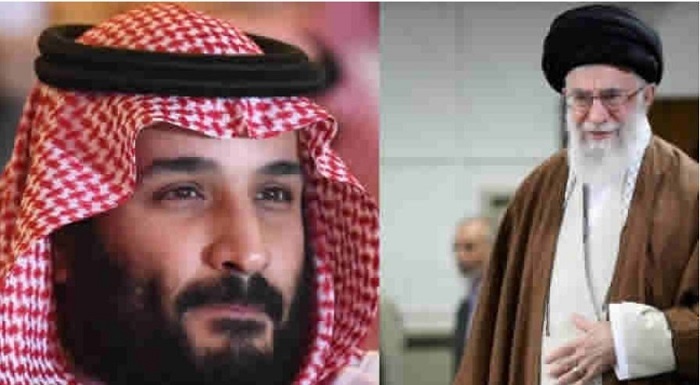 Saudi Prince To Iran's Leader: "You Are The New Hitler"
There is a cold war brewing between Saudi Crown Prince Mohammed bin Salman and Iran’s supreme leader Ayatollah Ali Khamenei. Saudi Arabia and its arch-rival Iran have traded a bitter war of words after a missile fired from Yemen was intercepted near Riyadh airport on November 4. The missile was claimed by Yemen’s Tehran-backed Huthi rebels. Iran’s “supreme leader is the new Hitler of the Middle East”, Prince Mohammed told The New York Times in an interview published Thursday.